& join us at Auditions.. Registration Charges : 200 Rs. 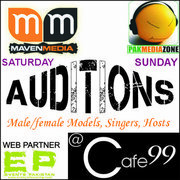 Organizers will Select Female Models, Male Models. 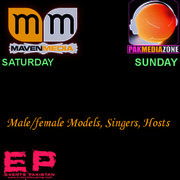 Female/Male Host, Female/Male Singers. The Selected Participants Are Entitled A Contract Of Till Event. If our Judging Panels think you Delivered your best then we will contract you further. All Participants must be on time. We will not receive any entry after 2PM. # Contestant must fill out all forms and submit prior to event. # The Participant agrees to provide current, complete and accurate information. # Organizers has sole rights on all the photographs clicked & submitted & has the right to use any of the photographs for any future use or promotion. # Organizers also reserves the right to withdraw or discontinue with the Model Agreement at any stage without any liability whatsoever to the Participant and, or, anyone. Cancel contract before Event they will be Fined & we have option to take action legally. # Organizers have rights to Select or Unselectany Participant.